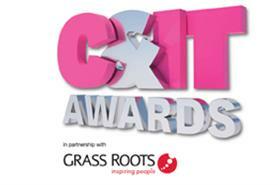 BMW, Esselte, RSA, Hewlett-Packard, Microsoft and Vodafone are among the brands whose events have been shortlisted for the Incentive Programme of the Year Award, one of the most hotly contested categories in the inaugural C&IT Excellence Awards. Entries featured incentives to a range of destinations from Paris to Las Vegas, but there can only be one winner. Find out which event is crowned winner of the Incentive Programme of the Year at the C&IT Excellence Awards event, to be held at the Natural History Museum on 4 November. There are only three weeks to go now, so don’t miss out on your chance to join the movers and shakers in the industry, for what is set to be an exciting evening. There are 19 awards categories in total including International Conference of the Year, Business & Finance Event of the Year, Association Congress of the Year, C&I Technology Innovation Award, and a Grand Prix Award.